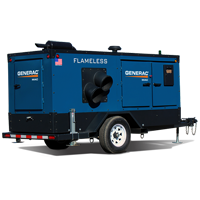 Traditionally, business standby generators ran on diesel and were expensive. 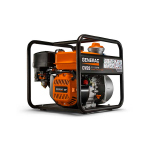 Generac pioneered the development of clean, affordable propane and gaseous commercial generators. With units readily available in single and three phase voltage, propane or propane vapor and gaseous or dry fuel, there’s no longer a reason for business to operate unprotected from the dangers and costs of a power outage. Keep Your Power On, Retain and Gain Customers, Keep Revenue Flowing. 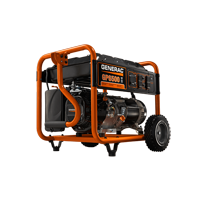 Generac’s business standby generators run quietly, stand up to severe weather, and provide built-in functionality, making generator ownership easy. 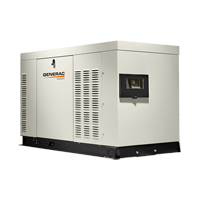 Generac offers single and three phase outputs, with voltages ranging from 120V to 480V. Our Protector™ Series generators are available from 22-150kW. These kilowatt nodes are higher than residential generators. Choose natural gas for continuous supply from your local Utility or propane (or propane vapor) for a clean and low maintenance fuel source. 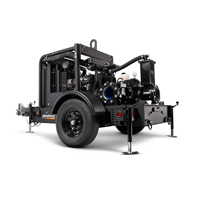 You can also field convert any units 48kW or lower from natural gas to propane. Models with special catalysts are available to meet the emission standards in California. 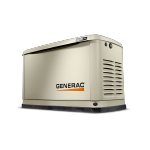 Whether a power failure is simply not an option, or you just want an advantage over your competitors during a power outage, Generac standby generators make sure you're open for business during a power outage. 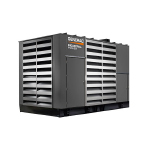 Generac’s Protector™ Series offers features that make it a great choice for business owners. 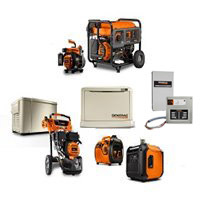 A customized risk assessment before you purchase helps you choose the best generator for your needs. Installation is easy and operation is quiet. Our RhinoCoat™ finish uses a process, which joins paint particles evenly on every part of the metal surface. Components are baked to form a lasting bond for superior protection against the elements. This process allows for more consistent coverage on all surfaces with exceptional protection. All automatic business standby generators perform a weekly self-diagnostic test to ensure proper, safe operation. 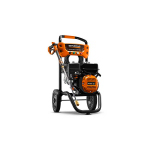 Quieter than the competition, only Generac’s patented, programmable Quiet-Test™ mode kicks in for an ultra-quiet, neighborhood-friendly self-test. 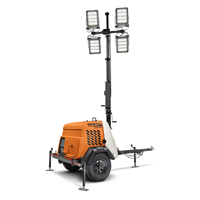 This feature is available on 22-150kW models. Premium all-weather aluminum enclosures provide corrosion resistance prolongs the life of the generator and is highly recommended for coastal, salt-air communities. This is standard on 22-150 kW models. 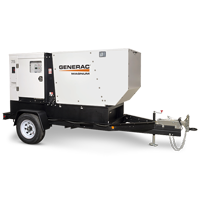 Generac designs and manufactures a complete line of automatic transfer switches (ATS) to meet the requirements of virtually any business standby power application. Expanded features have created a controller for liquid-cooled models (22 -150 kW) with an improved user interface for easier monitoring and management of the generator functions. 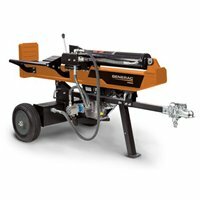 Now includes many features and alarms previously available only on larger models. Consists of a battery warmer with an automatically controlled thermostat built into the battery wrap. Recommended for areas where the temperature drops below 32° F. For areas that see temperatures far below 32°F, we offer Extreme Cold Weather Kits. 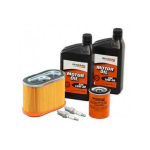 Maintenance kits are also available, and necessary for the longevity of your unit.